Google's upcoming Android OS update, which is Android O will be announced officially on August 21 with name of it and a statue of it. The information comes from David Ruddock and he works at Android Police. In one of his tweet, he says that he knows the name, but doesn't want to play spoilsport. Ruddock also revealed that the Mountain View, California-based company is planning a spectacle surrounding the reveal. Now, given that August 21 is a total solar eclipse day (at-least in the US, where such astronomical event was last witnessed around a century ago), it's quite possible that Google is planning something big this time around. A solar eclipse day for revealing the official name could also be a strong hint of what the name could be, don't know why? 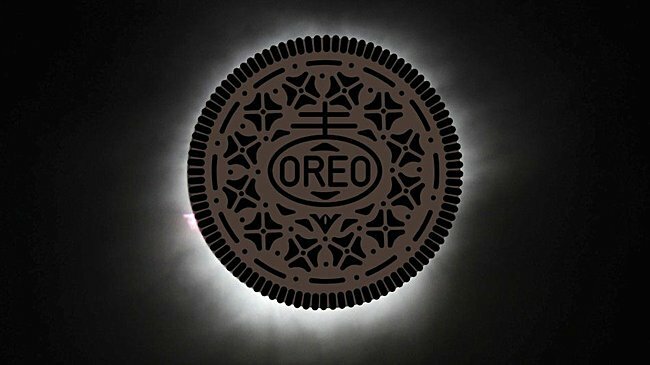 Let me tell you, the eclipse looks a dark black disc which resembles the Oreo cookie and the white light behind it resembles the cream filling of it. Let's see what Google brings to us on 21st August.